America’s largest civil rights organization working to achieve gay, lesbian, bisexual and transgender equality. 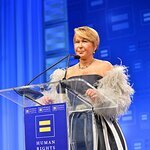 By inspiring and engaging all Americans, HRC strives to end discrimination against GLBT citizens and realize a nation that achieves fundamental fairness and equality for all. Google trends for "Human Rights Campaign"